I am writing this post so far in advance that I’m almost bound to forget that I’ve done it. I am unable to publish this post any earlier as the card I’m showing you is for my very good friend Stacey, whose birthday is today (happy birthday Stacey!!). I do hope she likes it. 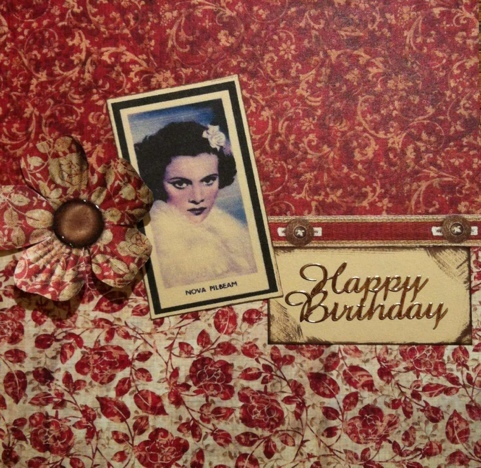 The papers I used for this card (and the idea too, actually) was from issue 91 of Simply Cards & Papercraft magazine. 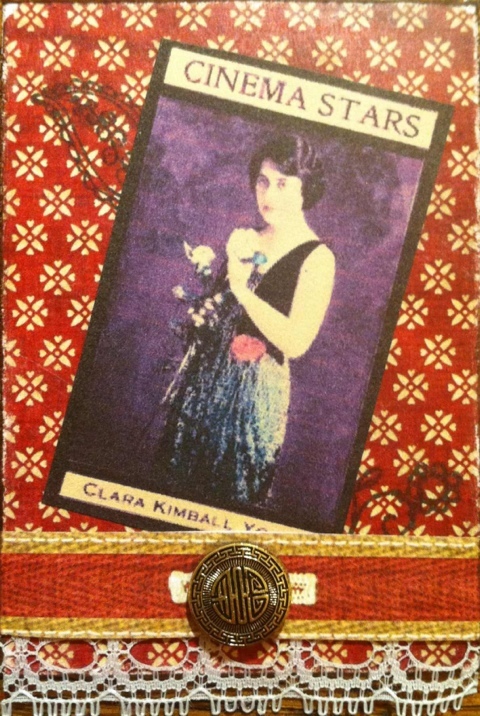 The magazine suggests using old cigarette cards for crafting. Now, I had a look on eBay, but the only nice ones cost a fortune, so I decided to print my own. Unfortunately my printer ink was running low, hence the unusual skin colour, but that aside, I thought it still looked nice and ‘vintage’. I loved the vintage look of the card so much that I ended up making an ATC along the same lines too, using a strip of vintage lace and an old button to set it all off. This entry was posted in ATCs, Card making, General and tagged ATCs, buttons, Card making, magazine freebies. Bookmark the permalink. I love these.They’re so vintage-y!